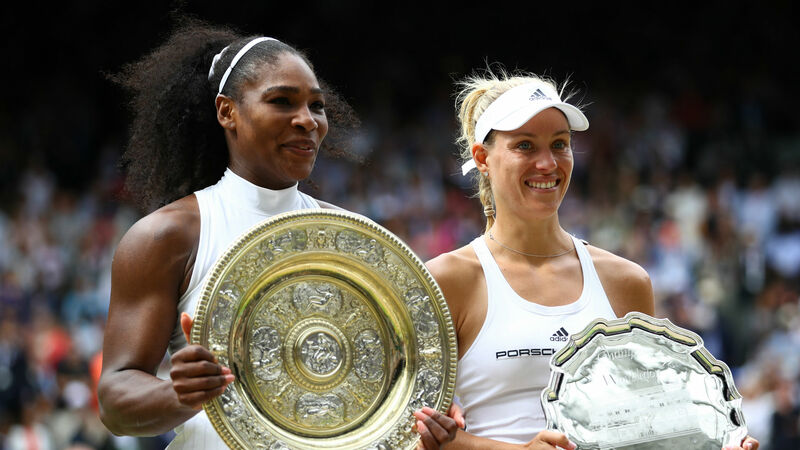 When Serena Williams claimed her seventh Wimbledon title in 2016 with a 7-5, 6-3 win over Angelique Kerber, you would have been forgiven for thinking of Saturday’s rematch two years later as predictable rather than a surprise. Despite the straight-sets scoreline, Williams’ triumph at the All England Club, which saw her move even with Steffi Graf’s record of 22 Open Era Slam titles, was far from routine, Kerber’s determined display leading to an engrossing encounter on Centre Court. Williams famously announced she was expecting her first child after winning the Australian Open while pregnant in 2017, a year that saw Kerber’s form take a severe dip few could have anticipated. Given Williams’ absence from the tour coincided with Kerber’s slump, it would be fair to consider if having arguably the greatest tennis player of all time as a primary competitor was the motivation Kerber lacked last year. “I know that she is always pushing you to the limits to play your best tennis. This is the only chance to beat her,” Kerber said of her upcoming third Slam final against Williams. “It is a completely new match. We both learned a lot. She’s coming back. For me also, I’m coming back from 2017. While it will be a new match for both, Kerber’s return to prominence at least came after some significant on-court foreshadowing. She won in Sydney in January before reaching the semifinals in Melbourne and then progressing to the last eight at Roland Garros. Kerber has had something of a tougher path, having to overcome a selection of the Tour’s rising stars in Naomi Osaka, Daria Kasatkina and Jelena Ostapenko, but both women have a commonality: They look back to the form of 2016 and are ready to deliver an enticing showpiece, and Williams knows tying Margaret Court’s Grand Slam titles record Saturday will be far from easy.